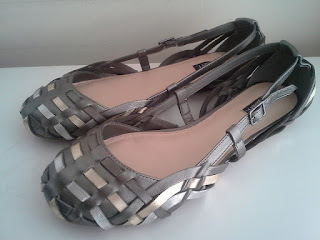 In a previous post, I lamented receiving a damaged pair of metallic Marys from Shoemint. My return went very well & now I'm the happy recipient of an undamaged pair. They're cute & comfy for walking & I think I'll be able to wear them well into a temperate fall season. YaY! 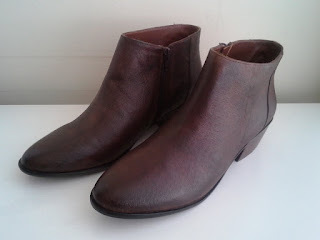 The Melissa booties in leather are seriously my new favorite shoes. They feel great on & have treaded bottoms. My Janice boots needed tread pads because they were slip-slidey. Melissa has no such problem. I already have the perfect bag to accompany so I'm ready! So, Shoemint love remains & my closet is a little happier.